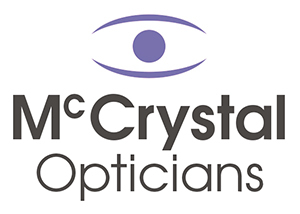 At McCrystal Opticians our kids frames are FREE. We have a fantastic range of children’s glasses to choose from, with fun designs including Moshi Monsters, Disney, Star Wars, Marvel and many more. We also have some seriously stylish frames in our designer teens’ range that never fail to impress! Four good reasons to get your child’s eyes checked at McCrystal Opticians! All babies will have their eyes checked at birth and then six weeks later by a GP. Unfortunately, most schools no longer have mandatory eye tests and only 60% of schools provide their pupils with an examination. These tests are not as in-depth as a standard eye test and can miss more important conditions. According to a report by the Association of Optometrists, 1 in 5 children have an undetected eye problem. Needless to say, this can be very damaging to the child’s educational development, since 80% of what children learn is through vision. Quite often, children do not realise that there is a problem with their eye sight, which can develop into larger problems. Gradually, being unable to read what the teacher writes upon the board can start to cause a decline in learning, they can start falling behind in class, which can lead to emotional problems and sometimes even be misdiagnosed as learning problems. This is why it is important to get your kids tested early, so that any potential problems can be identified and acted upon. Take advantage of our free frames for kids offer as soon as you can.